Is Assay Lofts Birmingham’s hottest new address? Buyers are already signing up online for details of a new luxury Birmingham residential address which won’t even be launched until Easter 2019. Demand for Assay Lofts, Elevate Property Group’s 32 apartment development in Charlotte Street which overlooks St Paul’s Square in one of Birmingham’s most sought-after locations, has been so strong the developers are expecting to sell out off-plan. 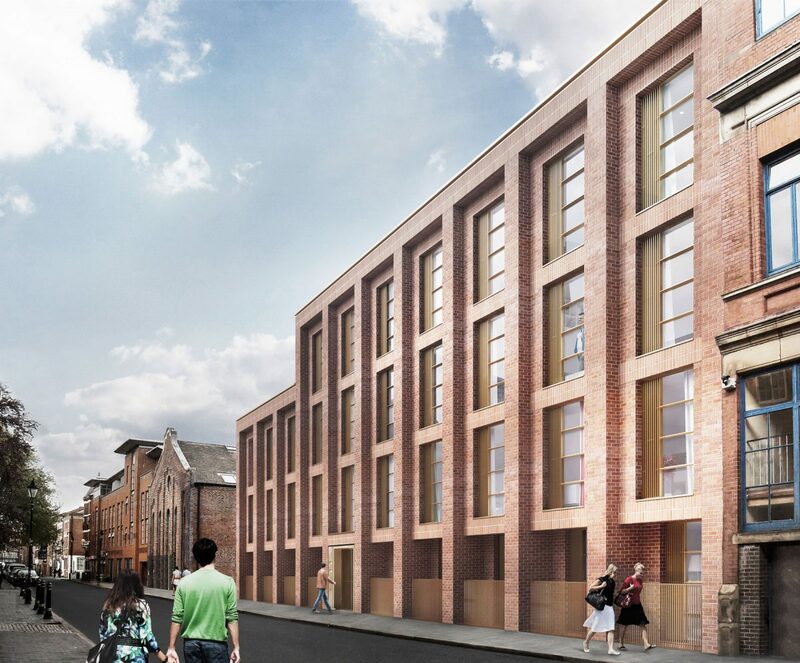 The scheme of one and two bedroom apartments has been designed by Birmingham practice Glenn Howells Architects and is Elevate Property Group’s fourth development in The Jewellery Quarter and tenth development deal in the city. It is scheduled for completion in August 2019 but with demand for more information so strong, Elevate has released the latest CGIs indicating how the £3.9 million scheme will look when completed by contractors NM Group. Elevate’s sales and marketing director David Hofton said: “Assay Lofts will be a flawless fusion of heritage and 21st Century style at the heart of Birmingham’s resurgent Jewellery Quarter. Prices range from £215,000-£270,000 for the one bedroom apartments and £325,000-£355,000 for the two bedroom apartments. Duplexes are available from £390,000-£490,000 and the price for penthouse apartment is available on application to Elevate Property Group. Assay Lofts is being constructed on part of the site of former Assay Office which was based there from 1878 but moved to a purpose-built new home on the other side of The Jewellery Quarter in 2015. The news of Assay Lofts’ popularity follows on from the success of Elevate Property Group’s latest completed development in Birmingham’s “West End”. Elevate Property Group is already known for its quality developments in Birmingham, including Concord House, Queensway House, St Paul’s House and Honduras Wharf, unique developments of townhouses, apartments and penthouses. Developments in Birmingham currently completed or underway include Tennant Street Lofts in West Side, Assay Lofts in the Jewellery Quarter, the recently-approved Cliveland Street development and a site in Camden Street – part of an ongoing development programme in which Elevate has secured sites and has plans in preparation for another 250 new homes around the city. Elevate Property Group currently has nationwide interests in 1,300 plots with a gross development value in excess of £330 million. For further details of Assay Lofts, contact sales@elevatepropertygroup.co.uk or call David Hofton on 0121 272 5729. Elevate Property Group creates exceptional architectural spaces. Prepared and issued by Andy Skinner of ASAP PR – 01789 490786 or 07990 978257.